AMD's Epyc 7000 processors will power three new Dell PowerEdge servers. The emphasis is on one-socket solutions for the enterprise. AMD scored a significant win in its efforts to retake ground in the data center with Dell announcing three new PowerEdge servers aimed at the usual high-performance workloads, like virtualized storage-area networks (VSAN), hybrid-cloud applications, dense virtualization, and big data analytics. 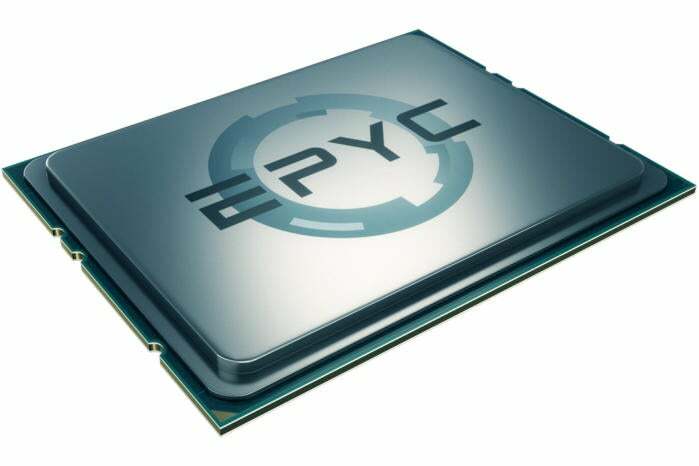 The servers will run AMD's Epyc 7000 series processors. What’s interesting is that two of the three new Dell servers, the PowerEdge R6415 and R7415, are single-socket systems. Usually a single-socket server is a small tower stuck in a closet or under a desk and running as a file and print server or departmental server, not something running enterprise workloads. The R7425 is the only dual-socket server being introduced. AMD said the reason is simple. With up to 32 cores and 64 threads on one CPU, up to 4TB of memory capacity, 128 lanes of PCI Express interconnects, and support for up to 24 direct NVMe SSD drives, the servers can do with one processor what would normally require a dual-socket system. “If you want resiliency, [Reliability, Availability, Scalability], higher levels of performance and capacity, Intel requires you to buy a two-socket server. This turns that paradigm upside down. Now you can buy a two-socket server because you need the horsepower, not because you need the I/O or memory bandwidth or network capacity,” said Dan Bounds, senior director of data center products at AMD. The total cost of ownership on a single-socket server is greatly reduced, since the CPUs alone can run $1,000, plus you need a motherboard that can handle two CPUs and the chipset. The Epyc processor is a SoC design, so no chipsets are needed on the motherboard. So if you can get two-socket performance, as AMD is boasting, from a single-socket server at a savings of more than $1,000, that will add up as you scale up. Bounds said a one-socket Epyc vs. a two-socket Xeon has 31 to 55 percent better price performance based on the SpecInt benchmark, and SpecFP is even better. The PowerEdge R6415 is targeted at edge computing scenarios, as well as cloud apps in a data center, and comes in a 1U rack with up to 2TB of memory and support for up to 10 NVMe SSD drives. The PowerEdge R7415 is also a 2U rack with 2TB of memory and up to 24 NVMe drives, and it is primarily aimed at things like traditional storage arrays and VSANs. The PowerEdge R7425, also a 2U unit, has two Epyc processors for 64 cores total and 128 threads total, 4TB of memory and 24 NVMe drives. It is aimed at high-performance computing workloads, analytics and big data. In all the hoopla over the Meltdown and Spectre exploits, AMD came out a lot better than Intel because of the design of its processors. It didn’t use the aggressive branch prediction Intel used, thus its exposure is minimal. However, it isn’t translating into inordinate interest in AMD processors. “We’ve had some positive conversations with partners and customers, but is it generating massive movement? Not really. The industry has realized vulnerabilities are a fact of life,” he said. AMD said it will close its one vulnerability of note with the Spectre flaw in its Zen 2 core generation, tentatively due in 2019. The new PowerEdge servers with Epyc processors are available now from Dell.